On a scorching Italian summer day, few refreshments are more welcome than a small glass of cold and luscious home made latte di mandorla, almond milk. If you have some of this Mediterranean nectar in your fridge, you are then only few steps away from one of the glories of pasticceria siciliana (Sicilian patisserie), biancomangiare, a snow white, tremulous pudding made with sweet almond milk and cornstarch, delicately perfumed with cinnamon and lemon peel, served with lemon leaves and with a few scattered jasmine flowers. It may not look much but it tastes heavenly. Biancomangiare (or biancu manciari, in Sicilian dialect) is a very ancient dish, dating back to at least the Middle Ages and once very popular, either sweet or savory, in many European and Mediterranean countries, especially as a meat-less food for Lent. The key to an excellent biancomangiare lies of course in the quality of the almond milk, which should be thick and with a faint aroma of bitter almonds in the background (in Italy it is still possible to buy bitter almonds, but apricot or peach kernels or a few drops of good quality almond extract can be used as substitutes). In traditional recipes, almond milk is generally sweetened, then extra sugar is added to the cream: this suits the overly sweet Sicilian tooth, but it is really too much. I prefer to keep my milk unsweetened and then add a touch of sugar to the pudding when I make it. The un-toasted almonds are blanched and skinned, then pounded (food-processed these days) with a little water and steeped in the remaining water for hours: this, tradition goes, will allow the precious and aromatic almond oils to fully disperse in the water, giving the milk a fuller flavour. I do in fact follow this lore and I can vouch for the wonderful milk it produces. Whenever I make almond milk, I never use the almonds I have bought straight away: they are invariably too dry. I let them soak overnight in cold water to plump up: this way they regain a delicate, buttery milkiness, which makes them taste pretty close to fresh almonds. In most recipes, a meagre 150-200g of almonds is used for a litre of water: This does not produce the full-bodied almond milk I like. I am more generous, allowing 400-500g of almonds to one generous litre of water. The other key ingredient of biancomangiare is cornstarch, which gives the pudding its typical set texture. If you want a biancomangiare that can be easily unmoulded, then a generous quantity is required. This would be the traditional way, but if you’d rather a quivering pudding that hardly holds its shape, go for the lesser quantity. Biancomangiare is a delicate pudding and I think it is at its best eaten by itself or, at most, with some summer fruit, lightly sprinkled with sugar – anything stronger and the subtle charm of this ancient delicacy is lost. to serve: lemon leaves and fresh jasmine flowers, if you have them. They are a mirage here in London and I content myself with sprinkling my biancomangiare with cinnamon and a little demerara sugar (sometimes I have also used crashed amaretti). Drain the almonds and blanch them by dropping them in boiling water. Remove a few of them at a time and peel off the skin. Peel them. Process them either in a blender or a food-processor, adding a little water (from the 1200 ml) to turn them into a pulp. Add the remaining water and process further. Let this almond pulp rest in the fridge for at least one hour. Place a colander over a bowl, line it with a some fine muslin cloth and pour in the almond pulp. Let it cool, cover it and refrigerate it for a few hours until fully set. Turn the biancomangaare out and decorate with a little cinnamon and the flowers or just with a sprinkle of demerara sugar. Moulds for biancomangiare: Traditionally, the hot almond cream was poured into engraved terracotta moulds like these which you can still buy in Sicily, too often at exorbitant prices, considering they are now generally mass produced. You can use small ramekins or a large individual mould, like the one you see in this splendid post about biancomangiare. 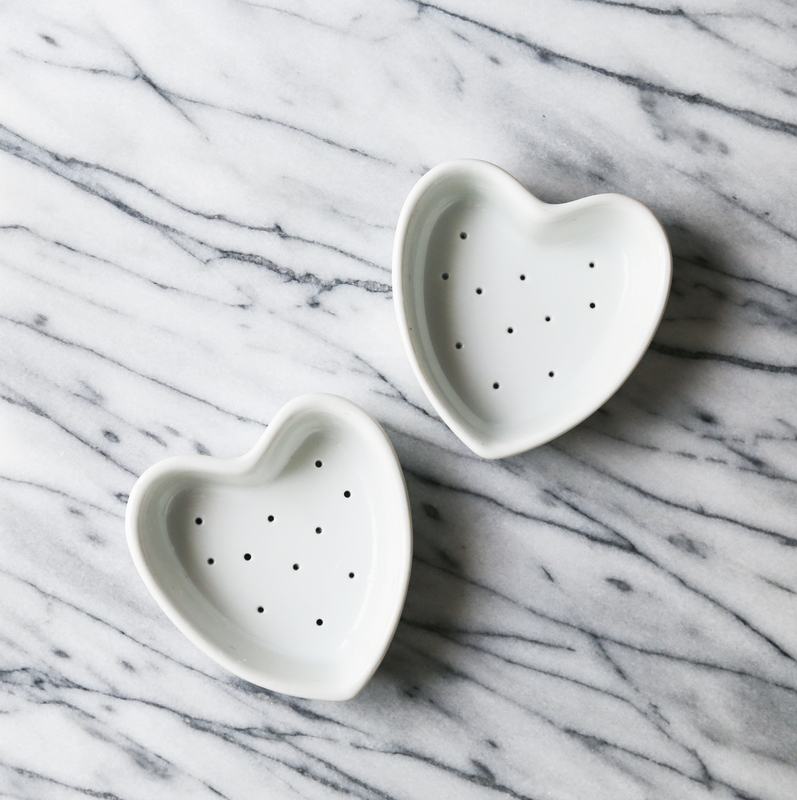 Another lovely alternative would be to pour the cream in small, muslin-lined coeur a la creme moulds. Toasting the almonds or not: generally untoasted almonds are used. However, Giuseppe Coria (the go to authority when it comes to Sicilian food) says there is a version of latte di mandorla made with toasted almonds: the key is to toast them only very lightly so as not to let them take colour, which would spoil the look of the milk. I tried this with soaked, plumped up almonds and I never succeeded: the almonds never toasted, maybe they are too wet. Thinking of using commercial almond milk? … You must be kidding: it is a complete waste of money. Mark loves blancmange – the version his mother made for him when he was a child. She served it with rhubarb compote. I have to say, Stefano, that I love using almond milk to make this. And, I am glad to have a recipe to make my own almond milk. I like your addition of the bay leaf – are you using fresh leaves or dried? To Mark’s dismay, I will be looking for one of the ceramic molds you mention when I’m in Sicily next year! She learned to make blancmange in Scotland, when she lived there s a girl. While she wasn’t a great cook, she never used mixes or boxed cakes. Looks like out first week will be in Trecastagni, northwest of Catania at the foot of Mt. Etna. We definitely plan to go to Siracusa, and (thanks to you) I just learned a bit about Siacusa Ortigia. Thanks! Good idea to order the mound online. As I mentioned ealrier, we also plan to visit Noto and Ragusa. The second week may be on the other side of the island – near Marsala.